Hello everyone, it's been a busy month and I haven't had much time to write about my favorite pastime - soap making. 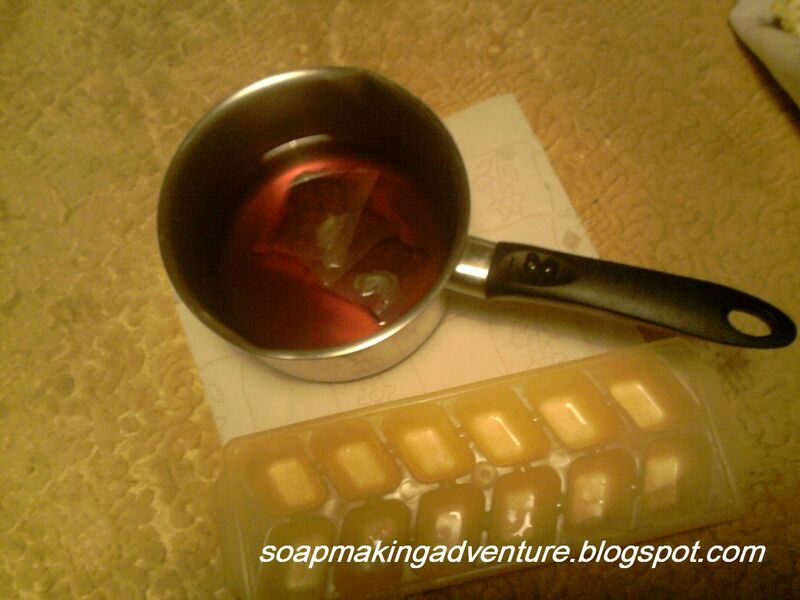 Today I'm going to describe one of my favorite projects - Raspberry Tea Soap. It was my third project and it turned out quite nice. Once you decide which oils and/or butters you are going to use, calculate your water/lye weight here or using some other lye calculator. Prepare your tea couple of hours earlier or even a day before making soap. Use distilled water to make a strong tea. You can use any kind of tea, but take note of the color of the brew. Combining Raspberry tea instead of lye solution and red pepper after the trace, I got a nice peachy color for this soap. When the tea cools down a bit, pour it into ice cube mold and put it to the freezer. The reason you need to freeze tea or juice when you use it instead of water for caustic soda solution is that once you pour caustic soda into juice, tea, milk or other liquids it reaches much higher temperatures than it does with just distilled water and things could get messy and dangerous. However, it is difficult to achieve the precise weight the recipe suggest for caustic soda solution, when you use ice cubes, so measure the weight of one ice cube and keep in mind to add ice cubes to the bowl you use for measuring liquids until you almost reach the desired weight, then if one more ice cube doesn't 'fit', pour some distilled water instead. Make sure to stir as you pour caustic soda, until it's dissolved and ice cubes melt. 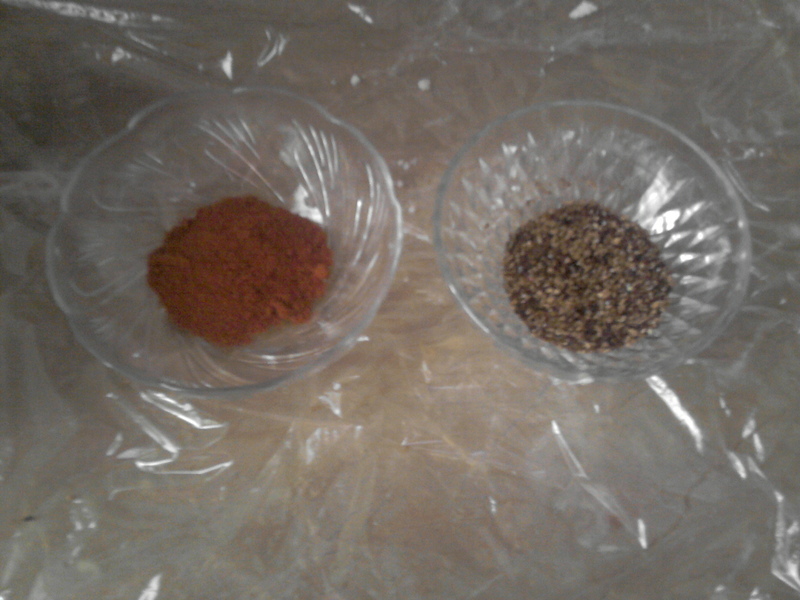 Add lye to your oils, mix until you reach 'trace'. I used Olive oil, Coconut oil, Palm oil and Shea butter for this soap. It gave me a hard bar and fine lather. Add 1 spoon of confectionary sugar, fragrance or essential oil of your choosing, red pepper for color and Raspberry Tea leaves (contents of 3-4 tea bags). Pour into mold and stir it a bit on top to make small waves and then you can throw some tea leaves on top of it. I used tupperware that's aprox. 7cm x 8cm x12cm which gives me 6 soaps 2 cm thick. 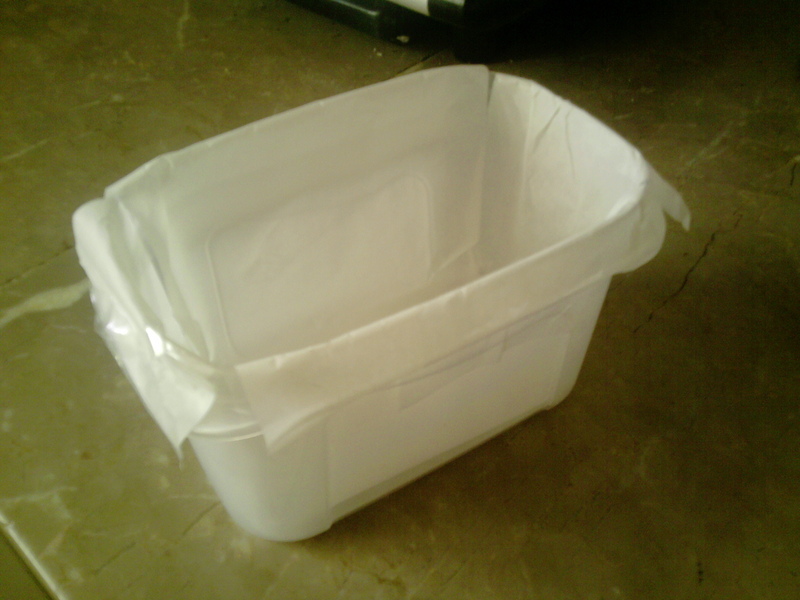 Cover the soap with an old blanket and let it insulate for 24 hours. Unmold your soap, cut it into bars and let it cure for about 4 weeks in a cool and well aired space. 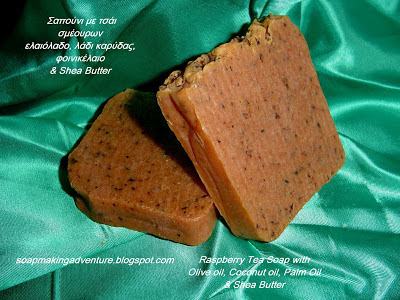 I loved using this soap in the shower, it is exfoliant due to raspberry leaves I added to the mixture, it leaves skin moisturised and clean with a discrete scent of raspberry tea, since I didn't use any other fragrance in it. The benefits of olive oil and coconut oil for the skin are well known. 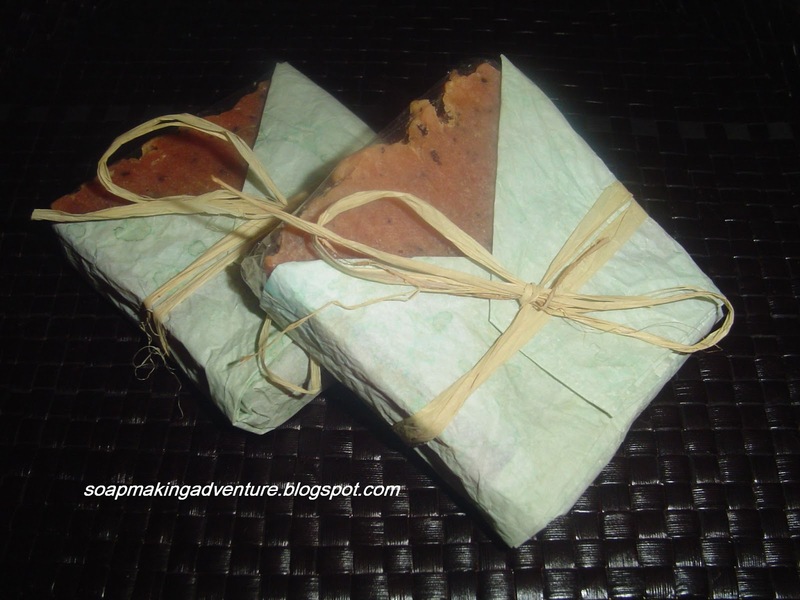 Palm oil gives it nice lather and Shea butter is probably the best gift you can give your skin. Raspberry Tea leaves are not without benefits either, some of the nutrients found in raspberry leaves are vitamins C, E, A, and B complex, minerals such as calcium, phosphorus, potassium, magnesium, iron and antioxidants. Red raspberry leaves also contains tannins a natural astringent that can help cleanse the outside and inside of the body naturally. These leaves even contain anti-inflammatory properties that can help ease pain and inflammation safely and naturally. 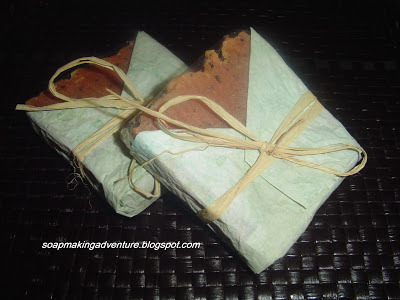 Before I started using my own homemade soaps, like most people, I used commercial body wash and most of them left my skin itching right after the bath. I don't have that problem anymore.